LMS Website Services Inc provides high quality website design with built in SEO! We know that small business's can sometimes run on a small budget. With that in mind, we have created a web design service that makes getting a high quality website that will be found on the Internet, a simple and affordable procedure. No longer do you have to spend thousands of dollars to get a great website that's built right from the ground up. We try to combine a beautiful website design with built in SEO. This tactic will allow your new website to climb up the Google rankings without spending a fortune. Our website designs are created with beauty and functionality in mind. Not only do they look great but they come with lots of interactive parts that will make the user experience a good one. We can add contact forms, maps, event calendars and much more to our website designs. Our web designs are meant to be user friendly and mobile ready. 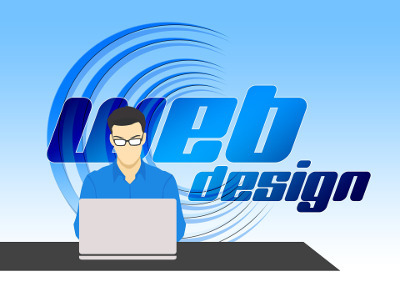 We design every website with Google and the end user in mind. We combine great looks and design to give the potential customer a great user experience and on page SEO to appeal to Google. We want our custom websites to be ranked as high as possible in the Google world. We don't just make great looking websites, we make great ranking websites that will be found on the Internet. We blend the two disciplines to appeal to the both Google and the customer. This is very important and can't be understated. Having a great looking website that can't be found when people search for it is basically a worthless website. LMS Website Services Inc has made it a policy to keep our prices at a reasonable rate so that all small business's can afford a company website. Having a website is very important and we want to make it affordable! We offer substantial discounts on all of our initial design services and then aim to keep our marketing services reasonably priced too! Your success is our main goal and keeping our prices down allows us to do more Internet marketing (SEO) for the same dollars.